– Unique gameplay with zero-g physics. – Worldwide internet high score rankings. – Play casually or strategically to beat the high scores. The second Chaotic Box title that is featured on New Year’s App Blowout is Pollywog, which is also normally priced at $1.99 USD. From the game’s description, players “take control of Pauly the Purple Pollywog in the ultimate quest for floating Yum Yums! Dodge obstacles at super speeds, collect time-bending powerups, and blast through levels in this fast paced 2D physics dodge’m racer. – Unlock 4 tiers and 19 challenging levels. – Earn Awards for Skill, Speed, and more. – Powerups with cool “Bullet Time” effects. The studio’s latest release is Silverfish, which I told you about on December 8th. Silverfish has been named one of the top apps of the year, getting a 5/5 score from both PCWorld’s GamePro and Yahoo’s Appolicious. Priced at $2.99 USD, Silverfish challenges players to “weave their way through swarms of menacing space bugs and defend themselves with powerful detonations. 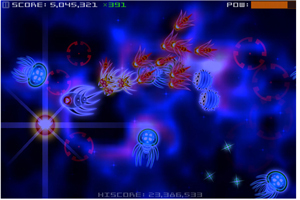 Silverfish combines pure arcade action with stunning visual effects” and is compatible with the iPhone, iPod Touch and iPad. Those of you living in Toronto – or visiting the city often, need to get this next app for your iPhone (if you have one). Rocket Radar, which was built using City of Toronto data, will let you know when the next TTC train is scheduled to arrive at your location. Rocket Radar uses real-time GPS tracking to let you “when the next streetcar will arrive with Toronto’s live GPS feed.” This app is currently priced at $1.99 USD and is compatible with the iPhone, iPod touch and iPad with an iOS of 4.0+. Starting this January 1, Montréal Pierre Elliott Trudeau Airport will offer free Wi-Fi service throughout the entire terminal, including the public area and the restricted areas (international, transborder and domestic). Montréal–Trudeau passengers will be able to connect to the Internet wirelessly from a laptop, smartphone or any other Wi-Fi-enabled device. To access Aéroports de Montréal’s high-speed AERO WI-FI network, users need simply activate their Web browser and accept the conditions of use that will immediately appear on the screen. Opening a session provides one hour of free navigation. If more time is desired, simply open a new session. Halifax networking expert and networking organization Bconnected President Lynn MacMichael has offered up some advice for those of you looking at improving your networking skills in the coming year. Lynn recommends beginning with the local chamber of commerce and doing an Internet search for networking groups in the area. May all of you have a very happy, safe, productive and prosperous New Year. Thank you for joining us in 2010, we hope to see you again in 2011. Ripe Apps has two of their latest iPhone apps on sale. Get GPS and Location-based reminders with Geo Alerts, on sale now for 99 Cents USD. Need a simple to do list with reminders? Pick up Reminders! Simple ToDos and Alerts, which is on sale for $1.99 USD. You may also want to check out their other app, I’m Right Here, which allows you to let your friends know where you are by sending them an email with map image, or SMS a link to same. This app isn’t “on sale” but it is available for the regular low price of 99 Cents USD. Vancouver developer Dark Acre has just launched a novella for Amazon Kindle titled Tale of the Madeus (The Solarus Cycle) in the first in a series, and is currently available via download for only $1.99 USD. Written in the style of a science fiction space opera, Tale of the Madeus takes place in the Far Vacuum of the Solarus system and follows a series of events which occur between the Oslean Stellar Trade League Transport Vessel ‘Madeus’ and the pirate vessel ‘Staine’, and was written as a supporting background piece for Dark Acre’s game Project Zero Zero, which is currently in development. 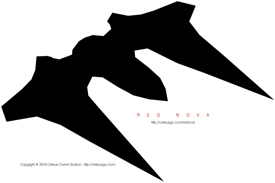 Indie developer Celsius Games has announced that there will soon be an update for its inertial survival shooter game Red Nova. It looks like players are in for at least one new mode of transport – or maybe a new enemy, as the image is only showing up as a shadowy blip on the Village Gamer game spotter. Still available for the launch price of 99 Cents USD, Red Nova is compatible with the iPhone, iPod Touch and iPad. As the person in control, you have been sent on a mission to test a number of prototype fighters which could be destined to replace the Earth Colonial Fleet’s aging Starhawk. While voyaging across the galaxy in your carrier, the ECS Red Nova, you discover the dastardly deeds of a previously unknown alien fleet as they prepare to stage a sneak attack on Earth’s space colonies. Being the hero that you are, it’s up to you and your crew to save humanity from certain destruction at the hands of these alien foes. If you want to see the Best of 2010’s Xbox Indie Games included on the dashboard, head over to this article written by Matthew Doucette of Xona Games to find out how you can vote on this issue. As a supporter (and purchaser) of our Canadian indie dev-made products, I would like to see the indie games front and centre just like all of the big-budget (and sometimes nowhere near as fun) titles. Bioware and i09 are offering a sneak preview at who the Illusive Man really is (surprise, he’s not really Martin Sheen). This brand new comic from Dark Horse will peel back the layers of secrecy we first got a glimpse at in Mass Effect 2. Please visit the i09 site for a look at the 5 page Mass Effect Evolution preview. Doritos®, in partnership with Microsoft, has announced the winner of its Unlock Xbox competition, with Crash Course taking first place. Crash Course was developed by Behaviour Interactive’s Chile studio Wanako from a concept by North Carolinian Jill Robertson. Her game concept was inspired by one of her favourite shows, Wipe Out – and is loads of fun. As the winner, Jill was awarded a $50 000.00 USD game consulting gig with Doritos, but in an unprecedented move, Doritos also awarded $50 000.00 to second place contestant Justin Carpenter of Ogden, Utah. 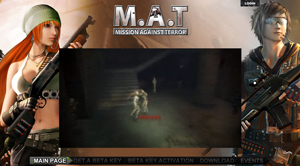 His game concept, Harm’s Way, was also extremely well received – both titles had well over Xblox Live Arcade 2 million downloads between them – and they are both well worth the effort, offering tons of replayability and gaming fun. Both titles are still available for download, and at free, you certainly can’t scoff at the price for so much fun. Today is the final day of PsychicParrot Game’s giveaway for their iPhone title Farm Jump, an Open-Feint enabled game that features tilt and lean controls that enable you to capture some cows and jump on floating sheep, helping Farmer Will get his sheep back in their pens. The game also features donkeys, eggs bacon, plus the ability to dress Farmer Will in a variety of costumes. Play by leaning the device left and right as Farmer Will bounces from sheep to sheep. Look out for roosters. Roosters will help him get higher with a boost. Cows are also Farmer Wills friends, so grab them when you can. It’s 7 a.m. and your alarm goes off, but it’s not that work alarm that most of us dread. This alarm is powder filled. SnowSeekers is stoked to release a free smartphone app filled with bells and whistles that will make iPhone-using snow seekers everywhere smile. The powder alarm takes feeds from your favorite ski and snowboard resorts and alerts you when your destination(s) of choice receives over five cm of snow overnight – just in time to get you out of bed and into the goods. The BlackBerry and Android versions are scheduled to launch later this month. Over $150,000 has been invested by SnowSeekers in the past 12 months to bring snow seekers around the globe a smartphone application that unlocks the best of Western Canada’s winter destinations. “Our focus groups told us they wanted all the bells and whistles in this app and that they wanted it for free. I am confident we are delivering on their request,” said SnowSeekers President Jim Barr (aka Doc Pow). * The guides are GPS-sensitive, delivering location-based information to the traveler when they are in X destination. It acts as a great pre-planner, too, as you can thumb through any of the destinations before even setting out. 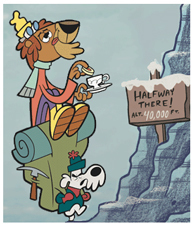 * A digital coupon book filled with discounts, offers, and savings (think of an entertainment book, only digital). Based on what you choose to receive, push notifications that contain exclusive offers are delivered via the app. * Comprehensive guidebook listings. “We’ve invested over 800 man hours to develop shopping, accommodations, après, nightlife and dining directories for the 19 destinations represented in the app,” said Barr. Includes Google Maps, descriptions, phone numbers, and web addresses. * Other features include current weather supplied by The Weather Network, snow conditions, and a digital trail map. Engine Digital announces the launch of an innovative mobile web strategy for client BC Hydro, featuring a mobile compatible web experience for on-the-go smartphone users. The Engine Digital designed BC Hydro mobile website offers instant access to relevant Power Smart content, safety tips, as well as a GPS-enabled power outage lookup feature. Mobile compatibility of web content is fast becoming a necessity for companies and Engine Digital is leading the pace in mobile web strategy, mobile marketing, and both design and development for the mobile screen. Utilizing the Mobify platform, Engine Digital was able to integrate the mobile site for BC Hydro with existing web technologies and content, providing a single point of content management across both web and mobile channels. Through their mobile device, BC Hydro mobile website users are able to determine power outages in their area, including real-time estimates of power recovery. The mobile site caters to smartphone and feature phone users, with a focus on touch-based devices including iPhone and iPod touch, Android, and BlackBerry touch-devices. With branded utility – brands creating useful experiences for their customers – becoming a common strategy for organizations wishing to create an unfair advantage within their category, many marketers are looking to mobile as the space where utility can be quickly delivered to both a location- and time-aware audience. * Outage Data: up-to-date status on power outages available in map or list view format, along with planned outages, restoration history, expected timeline for the restoration of power and the number of households affected. * Power Smart Green Guides: tips on saving energy and money for home and business through conservation of power. * Electronics Guides: tips on choosing brands and products designed to conserve energy. Users can search and compare brands, products, and their power smart ratings on mobile devices while they shop. * Safety Tips: tips for power related safety at home, in the workplace and during outages. In the event of an emergency, users have access to safety information and help contacts. * Events Calendar: listing of upcoming events hosted by BC Hydro. TEKsystems Global Services Canada today announced findings from its quarterly IT and Talent Survey among Canadian IT leaders. IT contracting in Canada is on the rise relative to other North American markets, with nearly 50% of Canadian respondents indicating increases in IT project needs and IT hiring over the next six months. Survey data shows IT workers will be in high demand to support the continuous flow of expected project needs moving into 2011. Of the most challenging projects, Enterprise Architecture tops the list with 55.9% of Canadian respondents rating the difficulty a seven or above, on a one to 10 scale. More than half of respondents also rated Business Process Engineering, Business Intelligence, Network Architecture and Database Administration a seven or higher in terms of difficulty to staff and manage. “Limited supply of certain technical professionals is just one factor that makes these projects a challenge for our clients,” shares Hall. “IT leaders are also challenged to find partners that possess applicable industry knowledge, a high degree of business acumen and have the chemistry to fit into their culture,” comments Hall. Given the increased focus on IT initiatives to drive business value, IT leaders will need to conduct intense and proactive workforce planning exercises to ensure they can support business goals. However, according to the survey, 52.2% of Canadian respondents indicated feeling only “somewhat prepared” to handle an increasingly competitive labor market. “To obtain the right skill sets when and where they need them, many businesses are realizing the value of partnering with an IT services provider that can deliver project-based or outsourcing solutions with an underlying competency in attracting and retaining large numbers of quality IT resources,” said Hall. IT leaders say they plan to maintain (50%) or increase (36.5%) their current level of IT outsourcing; and nearly 80% of respondents expect to maintain or increase offshore and near-shore IT services moving into 2011. “More often, we’re seeing IT leaders make the decision to outsource based on criteria that extends beyond cost benefits. They are thinking about the degree of complexity they want to maintain versus offload. They are also thinking about which providers can be a true partner, building customized solutions and delivering results through teams of qualified IT professionals,” said Hall. Happy Holidays to all of our readers – Stay safe and we’ll see you on the other side of Christmas. If you’re on the move with kids today in an OnStar-equipped vehicle and they’re worried about missing Santa, never fear, your OnStar connection will set their minds at ease. OnStar advisors will be prepared to give subscribers specific location-based updates on Santa Claus’ journey around the world based on data received in partnership with NORAD. Individuals without an OnStar subscription can visit NORAD’s Santa Site or dial 877 HI-NORAD (877-446-6723) for Santa’s location (hands-free in BC, please – Santa won’t be looking for you in a ditch). Beginning at 6 a.m. EST on Christmas Eve, OnStar subscribers can press the blue OnStar button in their vehicles to request a “Santa Update”. OnStar advisors will share Santa’s whereabouts through 5 a.m. EST Christmas morning. For more than 54 years NORAD has used its North Warning Radar System, geo-synchronous satellites with infrared sensors and other technologies to monitor Santa’s Christmas Eve travels and share the information with children and families around the world. 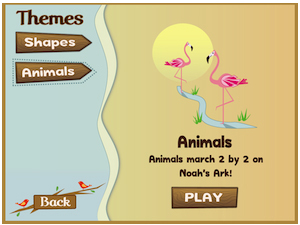 Homick Labs has released Noah’s Matching Ark, a fun and educational application for the iPad and iPhone, geared for children aged 2 and up. 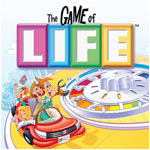 Kids will love matching the tiles of the various themes and earning stickers to be placed in their sticker album. According to the app’s information page, there are currently three themes available – matching Animals, Shapes and Numbers; additional themes are downloadable within the app, and parents can configure the app’s difficulty to match their child’s ability. This free application is currently available for the iPad only, the iPhone version has a projected release date of January 2011. For the Mac gamers in your life, check out all of the Gift Guide Specials over at GameTree Mac; they have a door crasher sale on for Kung Fu Panda at 35% off, and other titles such as Prince of Persia: The Two Thrones and Assassin’s Creed II are available for 10% off. There is a good selection of titles for everyone from kids to adults, including Nancy Drew and Disney Princess: Enchanted Journey, with sale prices in effect until January 3rd, 2011. 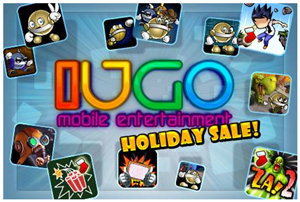 Give the gift of gaming to Android™ device owners this holiday season! EA Mobile™ offers sale prices on a full selection of games for select Android-based mobile phones – perfect for everyone on your gift giving list. The Sims™ 3, Need for Speed™ Shift, FIFA 10 by EA SPORTS™ and Tetris®, as well as MONOPOLY and THE GAME OF LIFE (under license from Hasbro Inc.) are available on the Android platform. Additional upcoming releases include Worms™ and Bejeweled® 2 from PopCap Games. 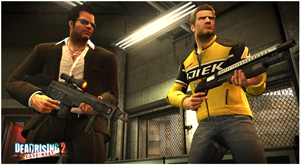 The games can be downloaded directly to an Android phone by visiting EA’s store on the device or on a PC. For those of you visiting us from Europe, you can now grab a copy of Digital Leisure’s Mix Superstar for your Wii. For 500 Wii Points, you can create, mix and record your own royalty-free musical masterpieces right on your Wii™ system. There are over 1,000 Dance, Hip Hop and Techno loops included across multiple instruments like Drum, Bass, Synth, Guitar and even voice tracks. Looking to give your mix a unique flare? Over a dozen new music loop packs will be releasing via Nintendo Wi-Fi Connection Pay & Play™ to enhance your music creation experience. Thousands of additional loops from packs like Rock, Pop, Latin, House and even World. Once you’ve got that next hit created, it’s time to show it off. Mix Superstar allows you to export your music creations, and download them to your computer so you can take them on-the-go. 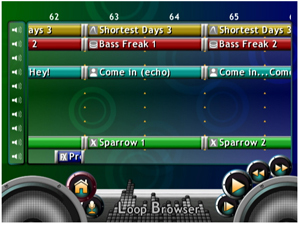 You can also use WiiConnect24™ to send those hits to your Wii Friends and even collaborate on mixes. Also included is full support for both the Logitech® USB Microphone and Wii Speak™ so you can lay down your own vocals on that next hit. Poynt Corporation and Yellow Pages Group (YPG) have formed an agreement for YPG to provide Canadian business content to the Poynt mobile local search application for BlackBerry, iPhone, Android and Windows Phone 7 smartphones. The five-year agreement, which includes an annual licensing fee, uses YPG’s public API (YellowAPI) to grant the Poynt app access to the 1.5 million business listings it currently holds. The partnership provides the Poynt app with mobile banner advertising, through Mediative, a recently launched division of YPG which services national accounts. “Our agreement with Poynt emphasizes the opportunities our content can create for local search apps and how YellowAPI can drive additional visibility to our advertisers through partners such as Poynt,” said Stéphane Marceau, Chief Marketing Officer of Yellow Pages Group. Poynt recently won RIM’s BlackBerry “Super Apps” Developer Challenge and is one of the leading mobile applications for BlackBerry. Poynt is available for download from m.poynt.com or from the respective smartphone app stores. Marin Media Group, located in Concord, ON, is pleased to announce the launch of a new & free online photography magazine called Photo Zoom, a publication designed to entertain and inform both amateur and professional photographers. It will be providing you with industry news, reviews, trends, articles, interviews, tutorials, galleries, competitions, advice and much, much more. PhotoZoom Magazine will also be attentive to the reader’s thoughts, viewpoints, reviews, suggestions, and, most importantly, featuring their photos. “Photo Zoom is a magazine dedicated to the art of photography. In every issue we will go over the ins & outs, the tricks & tips and everything else that has to do with photography”, says Scott Howard, Editor. PhotoZoom will be viewed and reviewed by local photo clubs, Universities and Colleges offering photography courses, various online social media sites, and online directories pertaining to photography related companies. Whether you are an amateur using a simple point and shoot camera or a professional who relies on photography as his main source of income, as long as you love this inspirational art form, you will enjoy PhotoZoom magazine. Passing along a bulletin from International Trade: the following events to take place in March 2011 in Brazil. The Canadian Consulate in Sao Paulo will be providing support to any Canadian companies planning to attend. Please contact Fernanda Whitaker, Trade Commissioner for New Media and Cultural Industries at the Canadian Consulate General in Sao Paulo for further information and application forms (or your local in-Canada DFAIT rep may also have the applications available). Brazil-Canada Coproduction Forum *** March 15-16, 2011 – Rio de Janeiro *** On its 4th edition, this event is designed to allow content producers (digital media/TV/Film) from both countries to understand each other’s business environment, markets and discuss potential opportunities for co-production. The Forum will happen in the margins of the Rio Content Market and will be organized by two local industry associations with full support from the Canadian Consulate. The organizers of the Brazil-Canada Coproduction Forum will invite and pay the expenses for a select group of about 15 Canadian delegates to participate . The deadline for Canadian companies that want to be considered for financial assistance granted by the organizers is January 16th, 2011. GameWorld 2011 *** March 11-13, 2011 – São Paulo *** Three-day event for the gaming industry, including exhibition and conferences. This event takes place over a weekend and traditionally targets end uses. However, for the 2011 edition, GameWorld organizers will prepare a business forum on Friday, March 11th, with matchmaking activities and one-on-one meetings. The Canadian Consulate in Sao Paulo will work with the event organizers to support any delegates coming from Canada. Rio Content Market *** March 16-18, 2011 – Rio de Janeiro *** This is a large, Brazilian TV Producers (BTVP) initiative that has gained great support from different levels of the Brazilian Government. Rio Content Market is an international conference and market expected to gather over 500 decision makers to discuss the creation and distribution of digital media and multi-platform content. Guest participants and speakers will be invited from the USA, UK, Canada, Europe and Asia. There will be a large contingence of television/feature film/digital media production, broadcasters, telecom operators, etc. For parents whose children are already asking when Santa Claus is going to arrive, well — ho, ho, ho — there’s an app for that, one that was developed in a workshop at snowy Edmonton Research Park by Fission Media Group Inc. Santa GPS is a free app available on the iPhone and iPad from the Apple App Store, and is a fun way for children and parents to interact together with these smart devices. The app uses the global positioning capability of the device to calculate and display the distance between the young user and Santa, who until December 24 is busy at his workshop at the North Pole, 4,047 kilometres from downtown Edmonton – and the Edmonton Research Park where Fission Media is housed. It also displays a clock that counts down the days, hours, minutes and, yes, seconds until Christmas. 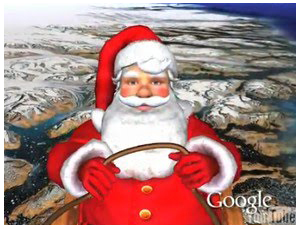 Turn the device on its side and the display changes into a map showing where the user is in relation to Santa Claus. 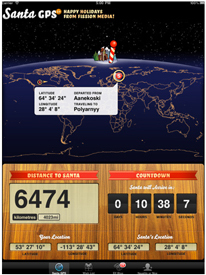 On Christmas Eve, this feature will become a whole lot of fun as children track Santa as he dashes through 550 destinations around the world from the mid-Pacific, through Australasia, Europe, and so on to Edmonton, bringing happiness to good boys and girls everywhere. 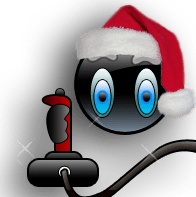 Fission Media Group has added some fun interactive features in this year’s upgraded version of Santa GPS, which is now in its second holiday season. There is a blog from Santa that updates the children of the world on happenings at his workshop. Kids can type their gift requests into a Christmas letter to Santa and mail it off the North Pole, while Mom and Dad can help the busy elves up north keep tabs on whether the kids are behaving, with the results displayed on naughty or nice meter for each child. For Canadian soldiers serving in Afghanistan, separation from their children and other little loved ones back home can be a painful part of their duty, especially at Christmas time. Hallmark Canada is helping to bridge that distance with a donation of 2,400 Recordable Storybooks to the Canadian Forces’ annual Operation Santa Claus initiative, which provides gifts to our soldiers serving in Afghanistan during the holiday period. 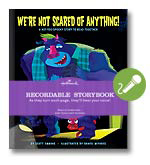 The books contain digital audio recorders that enable parents to record themselves and send the book back home – then, when children turn the pages, they hear Mom or Dad’s voice reading them the story. “Nothing can take the place of being home for the holidays, but we can help in at least a virtual way to bring our brave men and women serving in Afghanistan a little closer to their children at Christmas,” said Chris Kelly, Vice President of Consumer Solutions and Brand Experience for Hallmark Canada. And to close off this morning’s news posts, here is a very special Christmas video from Vancouver’s Hothead Games studio. Despite a flurry of last-minute activity to make sure all of his Seriously Fun Cargo (SFC) was safely and securely loaded onto his sleigh, Santa Claus and his reindeer are expected to leave the North Pole on time and with all toys on board. Transport Canada is pleased to announce that Santa has passed all his required pre-flight tests and is ready to make his deliveries again this year. As part of his preparations, Santa passed the regular medical tests required by all pilots who want to get and keep their licence. According to Mrs. Claus, Santa put on a few extra pounds while working with his elves on the huge amount of toys requested from boys and girls around the world. Happily, Santa also passed the test to demonstrate his flying ability and knowledge. 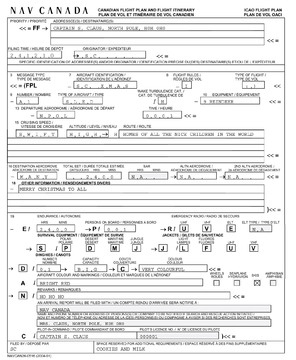 Like all pilots, he must pass this test using a flight simulator or with a check ride. So this morning, at the Transport Canada hangar at the Ottawa International Airport, Santa Claus successfully completed a series of takeoffs and landings with the help of his very fit reindeer. Earlier this month, a Transport Canada inspector travelled to the North Pole to inspect Santa’s sleigh and its safety system. The inspector checked the harnesses, landing gear and, of course, Rudolph’s nose. Santa recently installed some newer technologies for added safety, like his updated instrument panel and GPS, so the inspector checked this equipment, too. Santa was also reminded how important it is for pilots to get some rest and to do detailed pre-flight checks that include looking for ice buildup, and informing all crew and passengers about safety measures. Now that Santa has passed his medical and flight tests, he is once again ready to take to the skies safely. Millions of children can sleep easy knowing that Santa is fully prepared to make his most important trip of the year this holiday season! Boys and girls can follow Santa as he makes his way across the planet, through the NORAD Tracks Santa website, as well as through Google Maps and Google Earth, which should be easier now that Santa’s secret Flight Plan (PDF) has been leaked to the media. NAV CANADA would not confirm the authenticity of the flight plan but anonymous sources say that an unusual aircraft will carry a huge cargo of brightly wrapped packages and will fly at a tremendous speed. An intense red light flashes at the aircraft’s nose. NAV CANADA will be hard at work on Christmas ensuring that the normal air traffic control, flight information and advisory services are provided for this special flight and all other aircraft – with technical operations and engineering support. Version 2 of the Game Prototype Challenge closed yesterday – and this go-round of fast prototyping saw ten entries for the Immortality and Thin Ice theme – a big increase over the number of participants in version 1 of the challenge, which took place in November. I’ve included the list of entries here, but please visit the Game Prototype Challenge Blog for a full run-down on Version 2 plus links for post-mortems and information on Version 3, which will be coming at you in February 2011. I found out today about another Canadian-made free-to-play MMO game titled Greenwood Faire, which is currently in a publicly-playable alpha release stage. The game is being developed by Toronto-based Gnometech Inc. According to the game’s site, Greenwood Faire is a massive multiplayer social game experience set in and around the small town of Greenwood. Chat with your friends or make new ones. Listen to music in the tavern and play a board game. Play an instrument yourself, or get a medieval band together and put on a show. Learn to create fireworks and wait until nightfall to set them off. All of this and more is possible within the 3D environment of Greenwood Faire. If you would like to read more about the game’s development, check out the feature on Torque Powered. 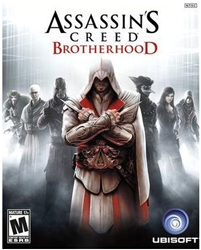 Ubisoft has released a patch for Assassin’s Creed Brotherhood that solves both the Animus Bug as well as restoring Trophy functionality for PlayStation players. While we do not yet have a final ETA for this patch, we can assure you that it will be coming very soon… all you have to do is apply the patch once it is released (your console should automatically prompt you to do so). In celebration of Black History Month and presented by TD, the Canadian Film Centre and Clement Virgo are pleased to host a special evening at the Cineplex Odeon Varsity Theatre 8 in conversation with acclaimed filmmaker Spike Lee to discuss the role of music in his films. A notable writer, director, producer, actor and author who revolutionized both the landscape of independent cinema and the role of black talent in film, Spike Lee is widely regarded as a premiere filmmaker and a forerunner in the ‘do it yourself’ school of filmmaking. His films are often provocative socio-political critiques that challenge cultural assumptions, not only about race, but class and gender identity as well while incorporating a distinctive and powerful use of music. The evening (Tuesday, January 25th 2011,7 – 8:30 p.m.) will combine conversation and film clips to examine the use of music in Lee’s films – from his musical collaborations with his father, Bill Lee, a jazz bassist, to Prince, Stevie Wonder and composer Terence Blanchard. Tickets are $20.00 (all proceeds will go towards the CFC Diversity Scholarship). Tickets can be purchased at www.totix.ca or at the venue on the night of the event. Some lucky Canadians will be revelling in a sparkling new smart phone this holiday season, and others will amuse themselves by downloading games and other online applications. But while mobile technologies can be useful and fun, it’s important to recognize their impact on your personal information, Canada’s Privacy Commissioner, Jennifer Stoddart, says. In the third quarter of 2010 alone, more than 400 million mobile phones were purchased worldwide, and smart phones accounted for about one-fifth of that market. But, relative to regular cellphones, smart phones are exploding in popularity. While sales of all mobile phones increased by a third from the year before, smart phone sales actually doubled. In fact, industry observers predict that smart phones will comprise the largest share of the mobile phone market by the end of next year. As these devices gain in popularity and sophistication, more and more applications (or apps) are being developed to run on them. These range from quirky quizzes to handy mapping and navigational programs, diet-tracking tools and social networking sites. Increasingly, apps are also capitalizing on the capacity of smart phones to reveal their owner’s location. One widely used app, for instance, automatically transmits coupons and other bonuses to the user’s mobile device every time the user patronizes certain establishments. But just as apps vary in type and quality, so do their privacy policies and practices. From a technical standpoint, there’s little to stop developers from programming apps in a way that enables them to collect, use or share the personal information of users – and often that of their contacts or networks. Users may never even know this is happening, and might not approve of the practice if they did. Indeed, the inappropriate collection, use or disclosure of personal information could expose people to surreptitious surveillance, or unwanted targeting by unscrupulous marketers or swindlers. Do your due diligence – Before you download a dazzling new app, check it out. Does it tell you what personal information it collects, and how it will use it? If not, do your own research. Many online forums discuss apps and provide authoritative reviews about important matters, including privacy. Think it through – Downloading an app may be a snap, but take your time and do a cost-benefit analysis first. Your personal information has real value, which is why app developers, marketers and many others want to get their hands on it. But don’t give it away. Trade it for something worthwhile, including a solid assurance that it will be treated with care. Keep it safe – If you lose your smart phone, a lot of your personal information can fall into the wrong hands. Make sure you always use a strong password to protect your data. If you give, trade or throw away your smart phone, be sure you first follow the manufacturer’s directions for thoroughly deleting all the data that was on it. For those who just haven’t spent enough money this holiday season, Amazon.ca has announced that beginning December 25th and running through January 2nd, customers can take advantage of amazing Boxing Week promotions on everything from electronics and books to home and garden products and men’s watches. Beginning on Christmas Day, customers can explore The Deals Store to find the full list of Boxing Week special promotions. Customers are encouraged to shop early as these offers are only available while supplies last. Customers will find great discounts on a variety of well-known and trusted brands, including Panasonic, Canon, KitchenAid and Garmin. In addition, Amazon.ca offers customers FREE Super Saver Shipping on orders of eligible products of $25 and over. Please note that product prices and availability of products and deals are subject to change. Prices and availability were accurate at the time this release was sent. However, they may differ from those you see when you visit Amazon.ca.